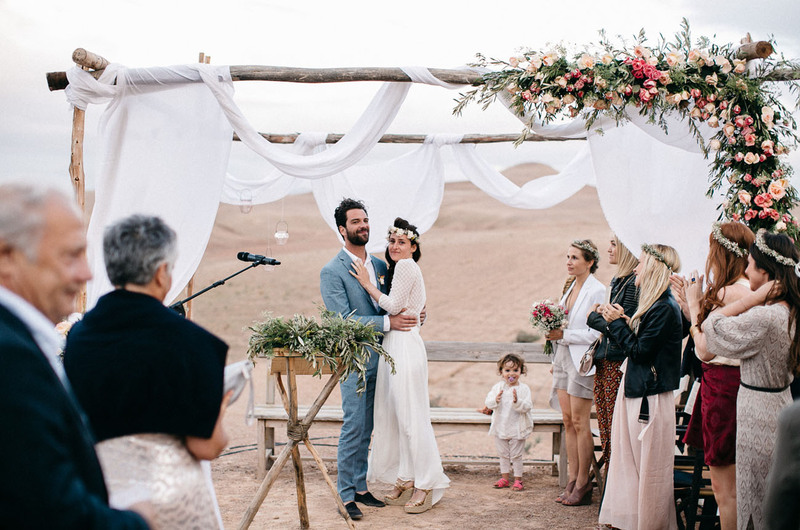 We’re swooning over this magical desert wedding – held at Scarabeo Camp on the south side of Marrakesh, Morocco. 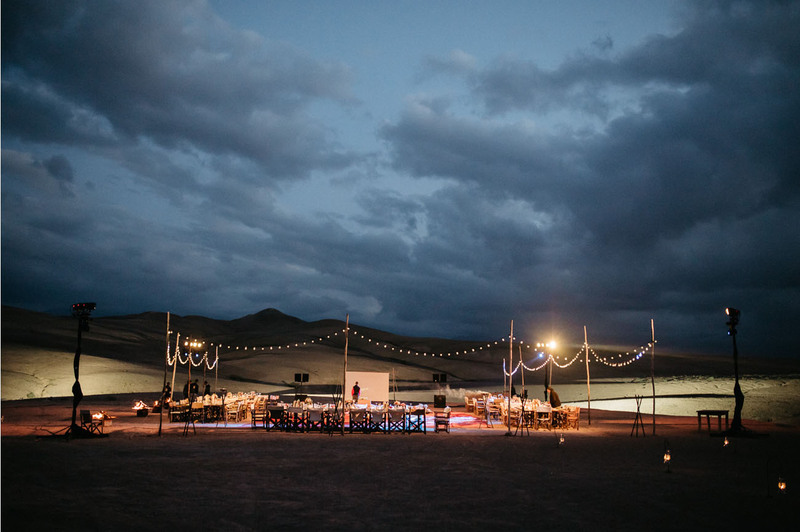 Yann of Lifestories captured delicious images of the outside ceremony, and all the festivities that continued on through the night – including an under-the-stars dinner/dance party. 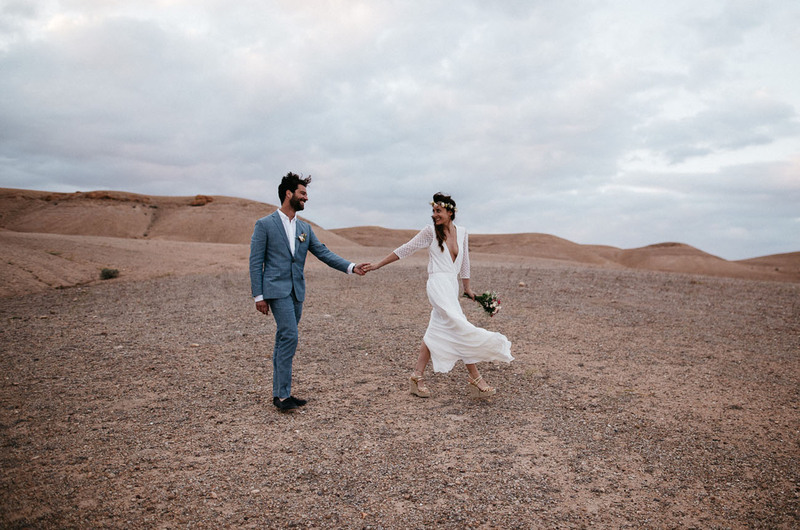 Taking inspiration from the popular folktale One Thousand and One Nights (also known as Arabian Nights – the tale that served as the inspiration for Disney’s Aladdin), the couple envisioned an enchanting desert scene and made it come true with the help of wedding planner, Ma Colline. Since they knew that the heat of the desert would be a bit of an issue, they cooled everyone off in a stylish pool party! 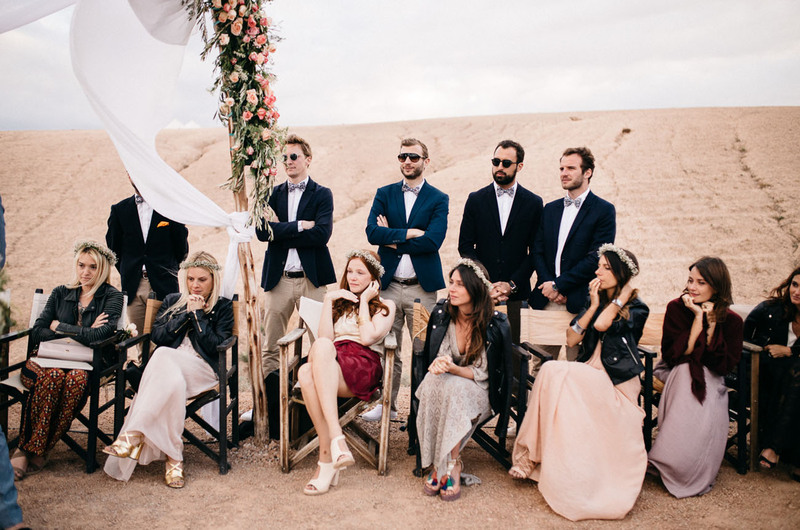 Oh, and did we mention that the bride is a fashion stylist? So basically elegance + sophistication flows through her veins. Are you ready to adventure to a whole new world? Look below! 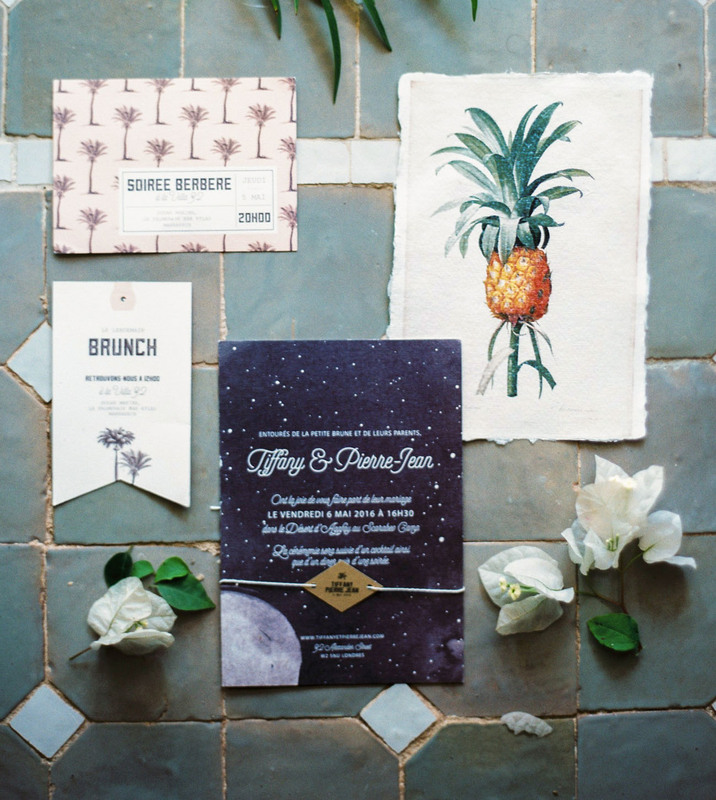 How gorgeous are these desert inspired invites by Monkey Choo? All the bridesmaids ensembles!! SO CHIC + SO EFFORTLESSLY COOL. 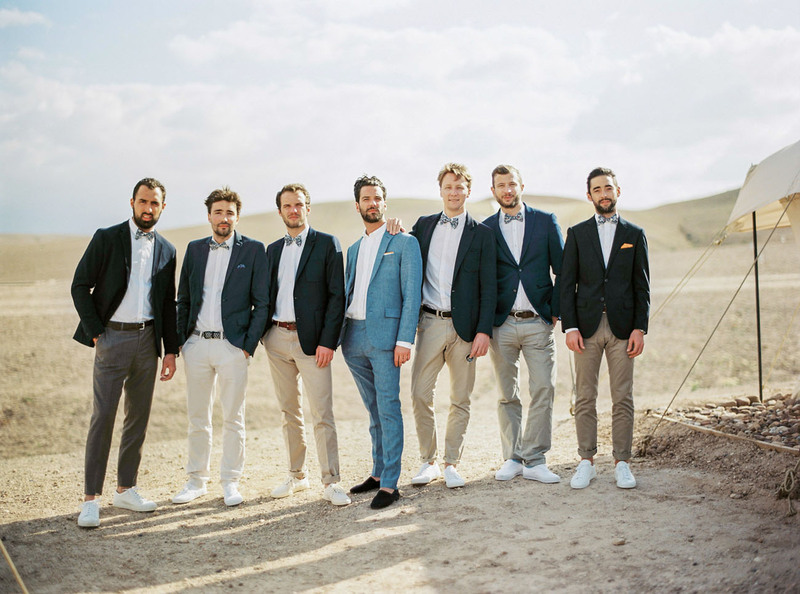 We love the coordination of the suit jackets – and how sophisticated, yet casual, their outfits are! 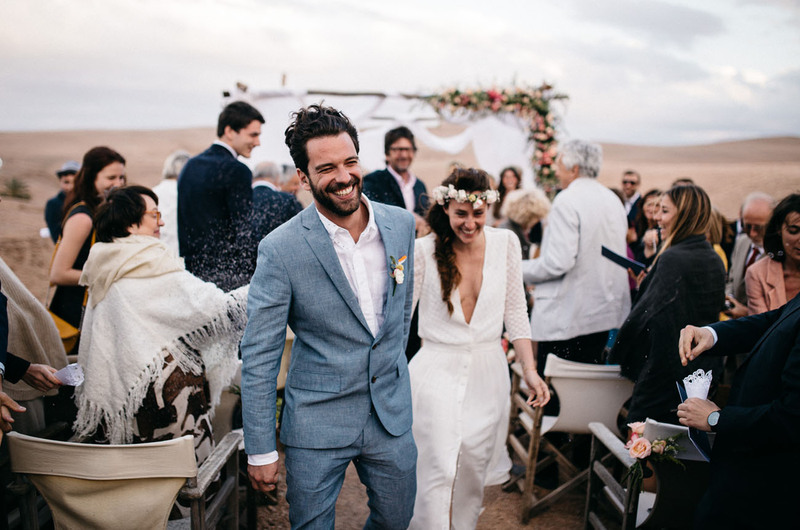 And the groom’s suit from J. 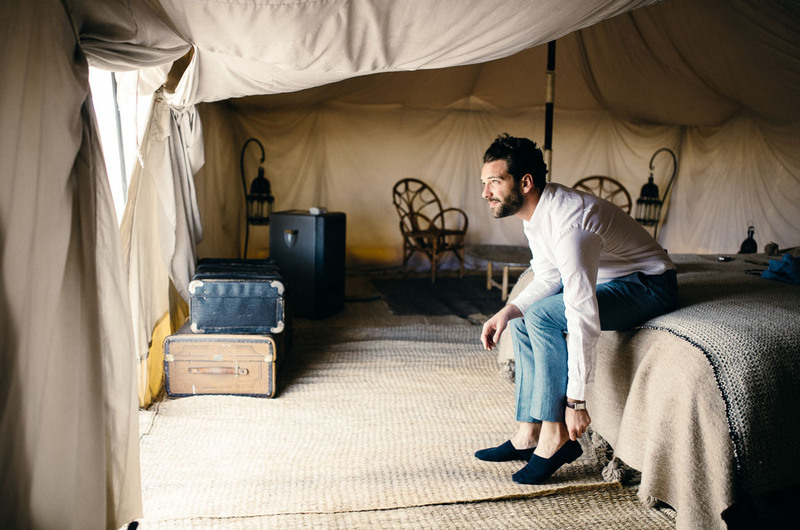 Crew – what a dapper gent! 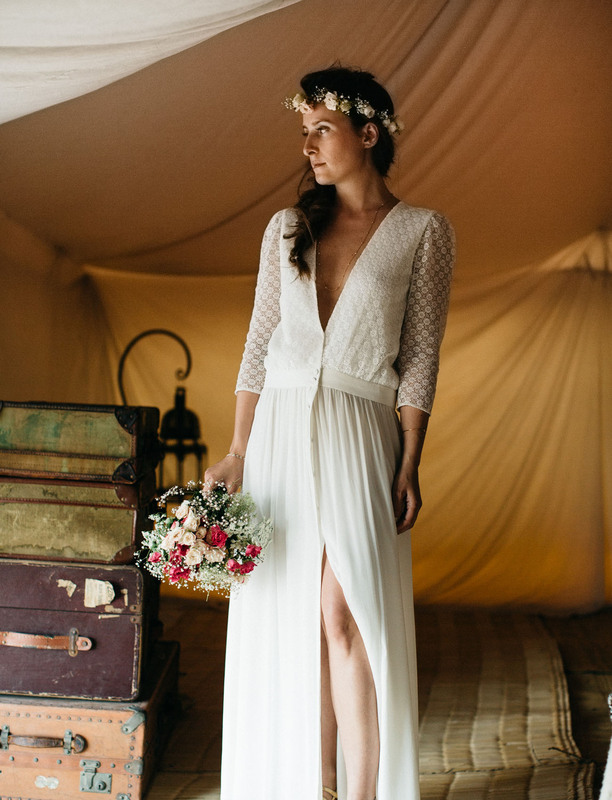 The bride shares For my dress, I really love the designs of Donatelle Godart. I wanted something that exuded an easy-going and bohemian spirit, but also something very feminine. There was an amazing dialogue between Donatelle and I during the process, and we worked together on every detail – the lacework, the silk, and the buttons down the front. Ultimately, we created the dress of my dreams. Their little munchkin is the cutest thing, ever! 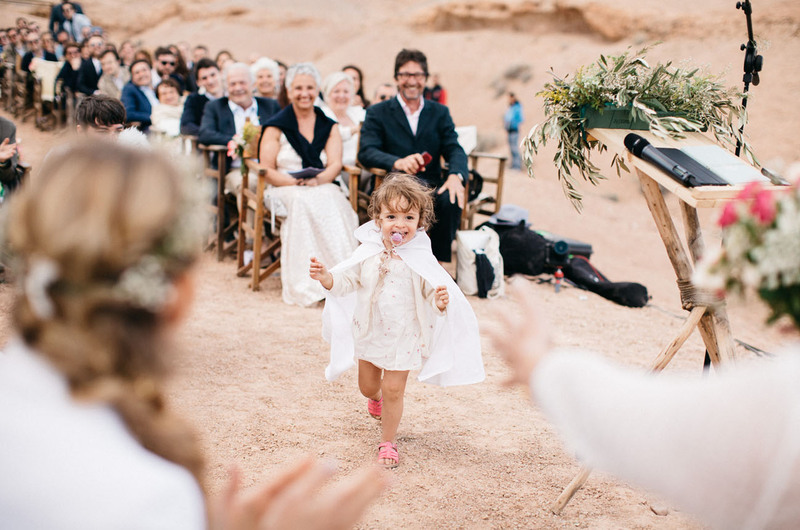 We love how they incorporated their daughter into the ceremony… and those adorable pink sandals! From the groom: I can still picture it - when I saw Tiffany walking down the aisle with her dad and our daughter... She came out of the tent and walked down the aisle towards me, with our daughter in her arms. The wind was blowing her dress, and the sun was shining through her hair. It was absolutely spectacular; tears welled in my eyes as I thought about how happy and lucky I was to be the one to marry her! There were so many incredible moments, it’s difficult to pick one! 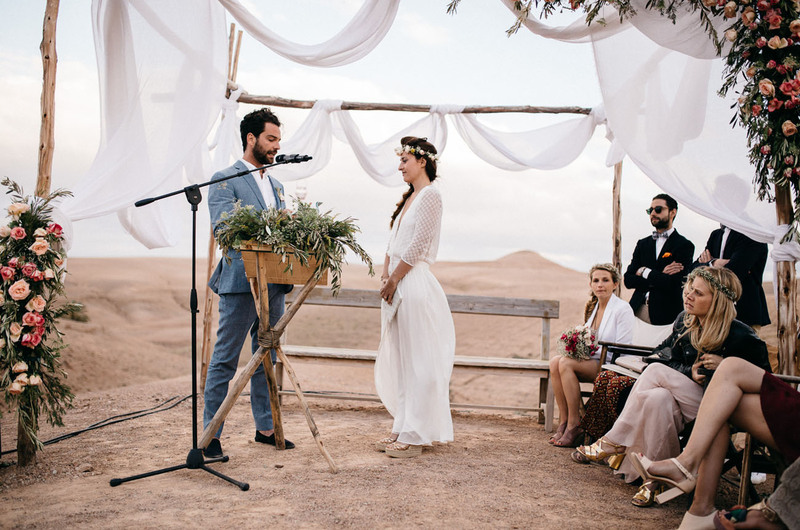 I distinctly remember Pierre-Jean’s emotional tears from when I was walking down the aisle... And it was so sweet when our officiant + friend, Matthieu, read us a surprise letter that he improvised with our two year old daughter, Brune. Trust yourself and trust your choices. Do not try to please everyone, this is crucial! Make the day and its many moments pure magic - make it something that looks like your ideas and really focus on you two as a couple! 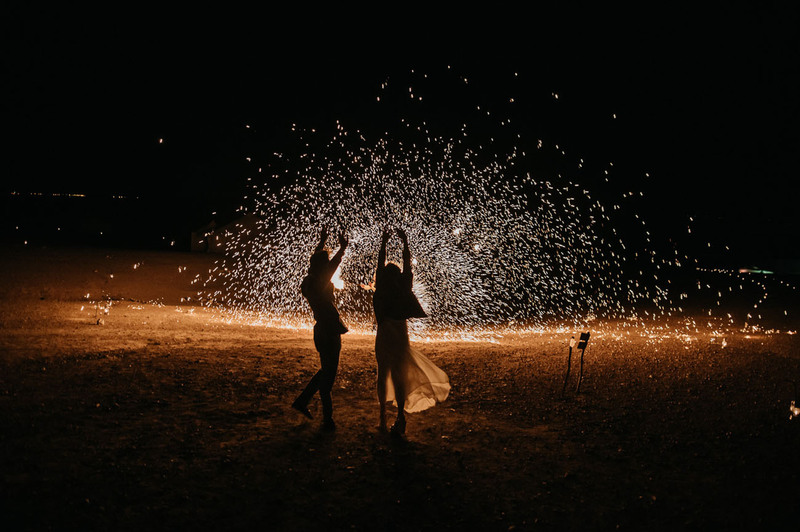 Having a wedding planner really helps to smooth along all the kinks and bumps and allow you to enjoy your time and not stress about who has the flowers or things like that. 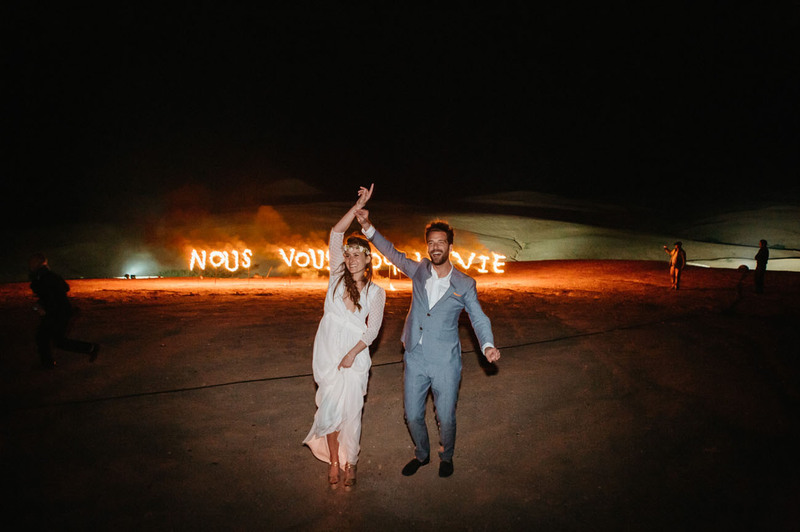 The fiery letters in the background read Nous Vous Pour La Vie, which roughly translates to Us for life. 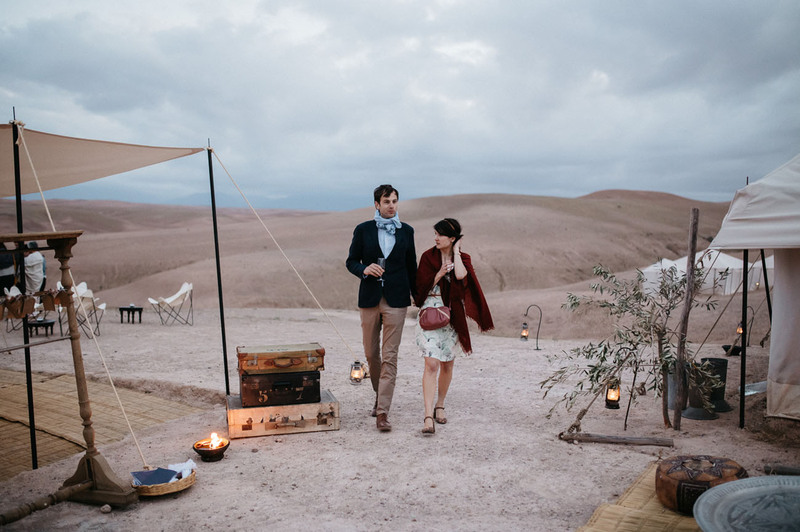 Want to see more of their gorgeous wedding and a night spent dancing under the stars? Check out this clip, all filmed by their incredible photography + videography team, Lifestories. 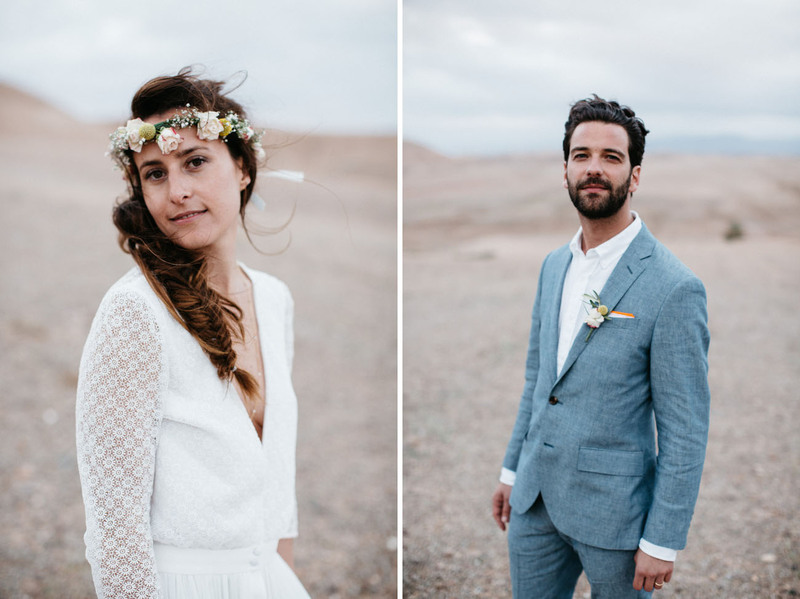 Spontaneous, ethereal, sweet and charming…. What a beautiful marriage!! Well done to the organizers, the photographer and videographer that captured everything so beautifully well. 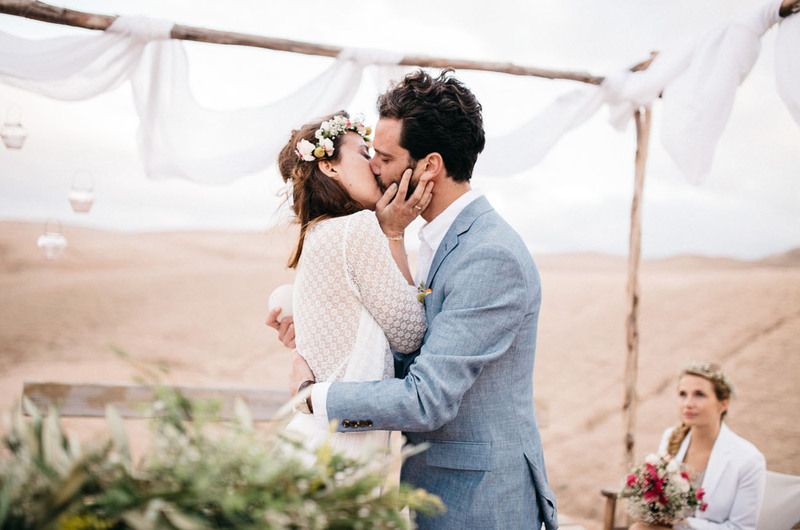 I usually find wedding videos tiresome…but this was just wow…. 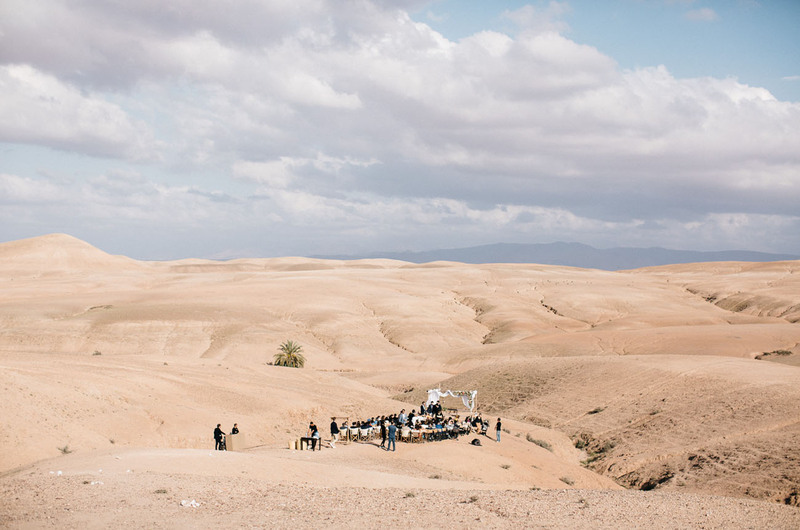 This is the first wedding I’ve seen set in the desert. Interesting choice, I like it. The bridemaid’s outfits really compliment one another even though they’re different. Love it!!! I would love to do a shoot there one day… Beautifully captured!